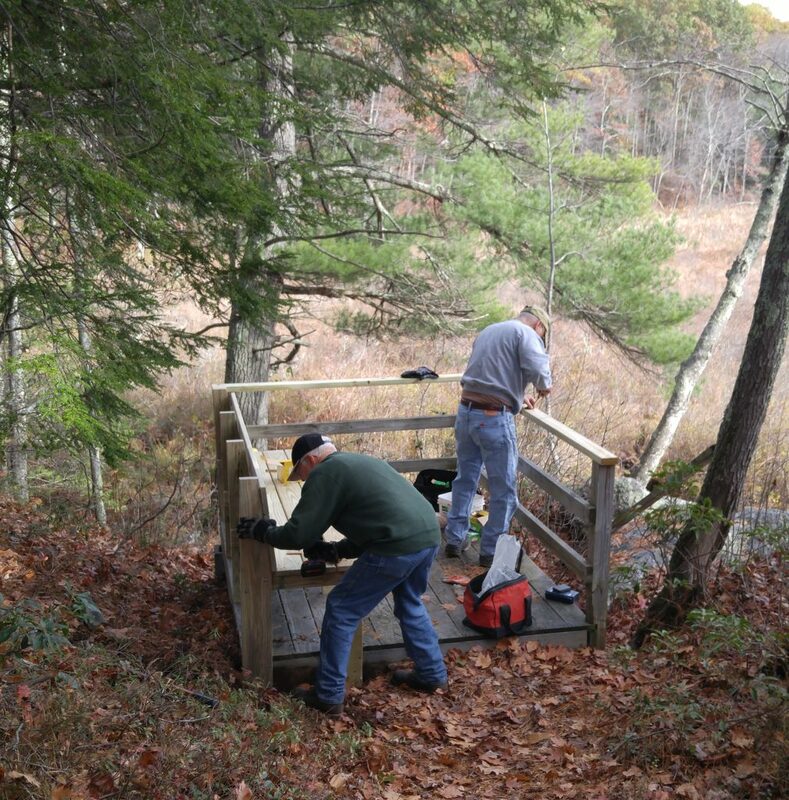 On October 29, the Land Trust held a very productive work party at Laurel Marsh. With a turn-out of 20 volunteers, all the projects on the list were completed! We would like to thank all our volunteers for their hard work. In alphabetical order: Bruce Burnett, Frank Chiaramonte, Tamara Christensen, Bob Clark, Larry Connors, Steve Craig, Paul Edwards, Herb Etter, Gary Griffin, Craig & Ian Henry, Karen Kelleher, Byron Lyon, Monty Lyons, Bob Orciari, Eric Rahn, Glen Richardson, Elaine Sederquist, and Fred & Jan Tullock. Because of their hard work, our projects were completed all before noon! A special thank-you goes out to Larry Connors for designing our new benches. 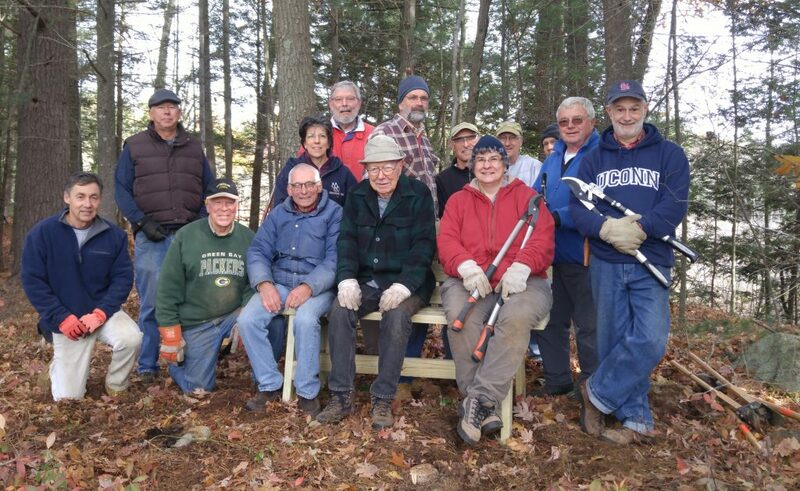 He constructed the 2 stand-alone benches in his workshop and planned and pre-cut pieces for the observation deck bench in the days leading up to the work party. Larry worked on the observation deck. It needed some slight repairs to the railings, and he added a generously-sized sitting area. This is a great location to relax and look out over the Marsh – it is beautiful in all seasons! 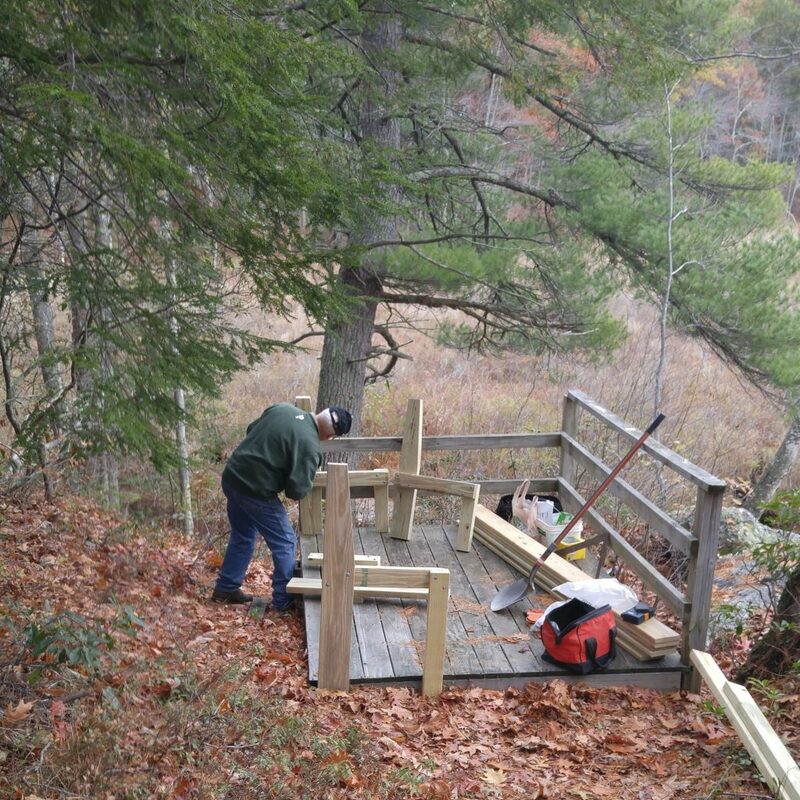 A second bench was added on the far end of our property after we extended the trail down from the ledge. 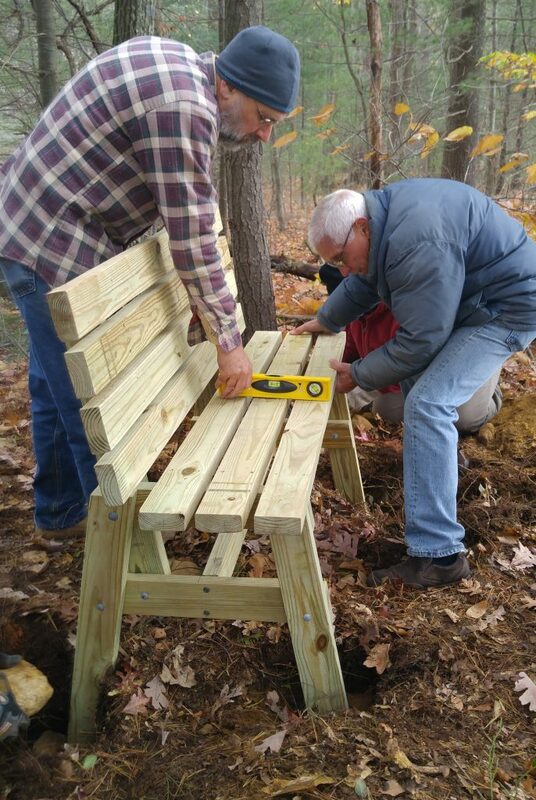 Our volunteers worked diligently to dig holes, remove rocks, and level the bench. 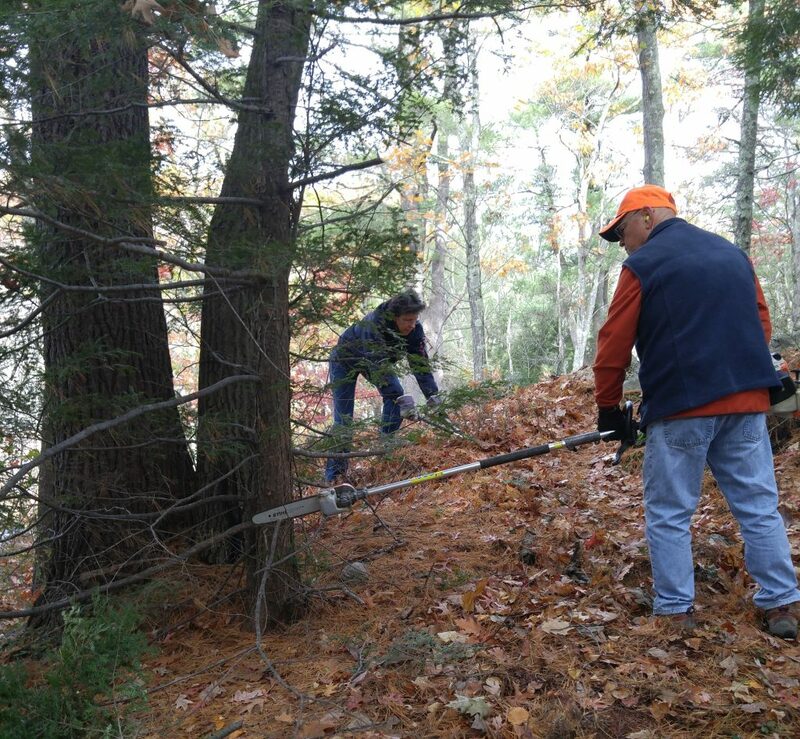 We also did quite a bit of general brush clearing around the trails and benches to enhance the views. Volunteers came prepared with power equipment too! 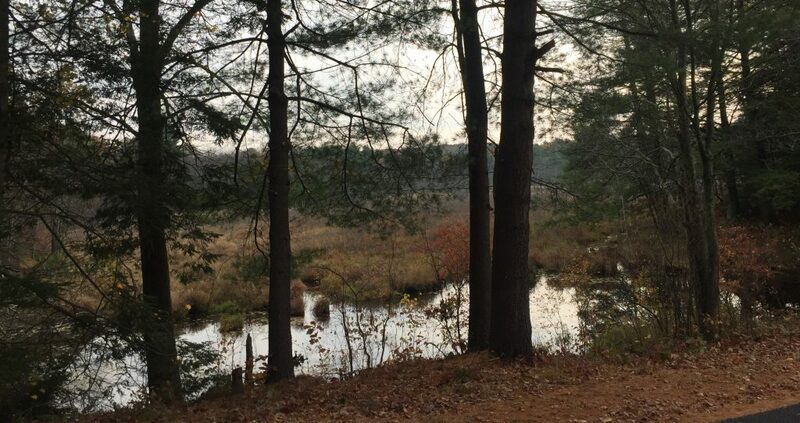 The trail area of Laurel Marsh rises up and overlooks both Wilson Pond and Laurel Marsh. It is an excellent location for viewing sunrise AND sunset. Our volunteers cleared out some areas where the brush was growing in after a small fire altered the landscape a few years back. We also cleared out some low-hanging branches to open up the view from the street. Come and visit! You will be amazed at this hidden Harwinton gem!